This is the 6th edition of one of our most popular reports. This exclusive report provides you with an in-depth analysis of the world's Business, IT and Telecom consulting markets, including revenue forecasts, trends and opportunities on a region-by-region basis. It also presents the 2008-2011 telecom consulting revenues and market shares of the top 35 telecom consulting firms. 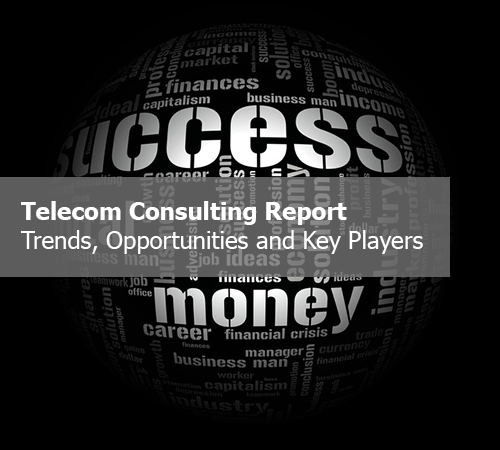 Our competitive analysis looks at telecom consulting firms' revenue, workforce and revenue/employee growth and market share by revenue tier, by consultancy category and individually. Finally, the document provides the list of the world's top 169 telecom consulting firms by consultancy category, with a link to their web site.